Percy has barely featured in Cat-of-the-Day lately. This is mostly because he has gone off his beanbag entirely, and taken to the sofa (which is not in my studio), and also because Arthur has been so amusing with boxes. 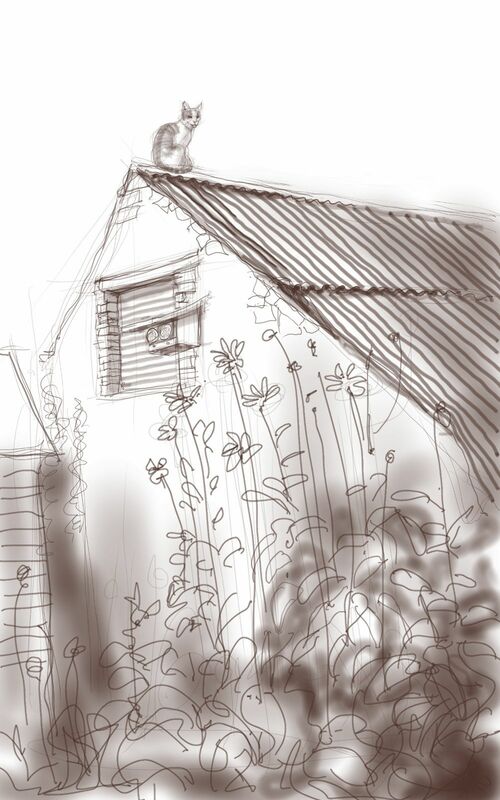 I was so desperate for a sketch of Percy I snapped a quick shot of him as he sat on top of our garage (which is in fact an ancient crumbling stone barn with a rusty corrugated iron roof, quite artistic in its decay). 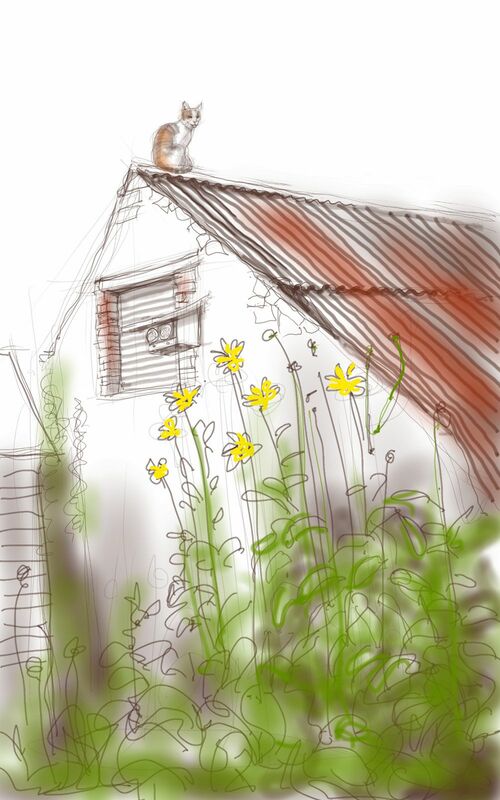 I couldn’t draw all this outside – the surface of the phone is too shiny, and so I had to retreat indoors and draw from the photo. So here is Percy, above the Jerusalem Artichokes. It’s always hard to know where to stop, with a drawing, so here are a couple of stages back…. 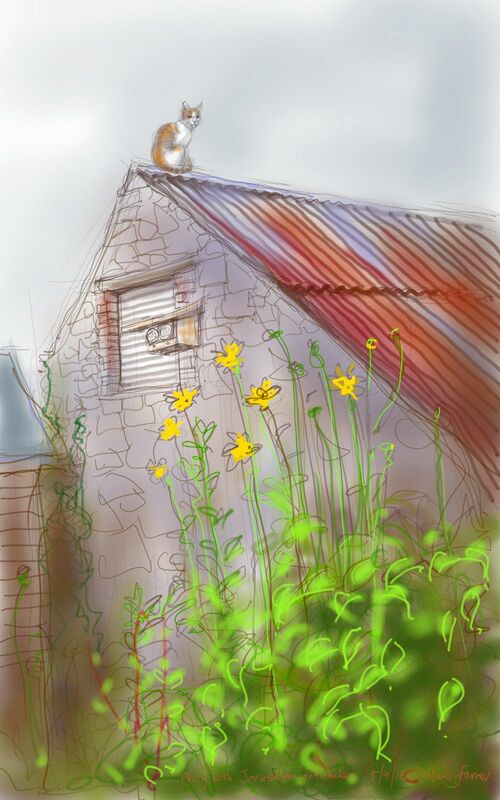 This entry was posted in Cats, Plants and tagged art, cat, cat drawing, cat on the roof, cat-of-the-day, digital sketch, drawing, illustration, jerusalem artichokes, Percy Cat on September 5, 2014 by Nancy Farmer.